Waking up for school can be difficult sometimes(or all the time). I find it can sometimes be hard to keep a good attitude while being forced to wake up at 6 or 7. 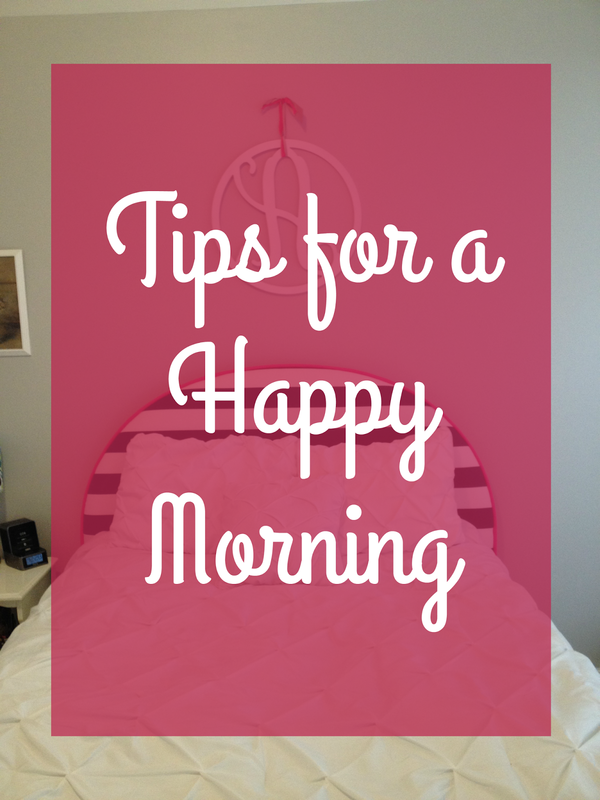 As a result, I thought it would be a really helpful post to share some tips on how to have a happy and positive morning! Do the things that you know you won't want to do in the morning the night before, whether it is making your lunch, picking out your clothes, or packing up your school supplies. Plus getting things done the night before will allow you to sleep in a little bit more. Wake up when you are supposed to wake up. Usually the longer you sleep the worse you feel, so just bite the bullet and get out of bed. It's not a lie when people say breakfast is the most important meal of the day. Eat breakfast and I guarantee you will feel so much better throughout the day. It can be something really simple, I love to just eat toast or a bagel with some fruit. While getting ready I love to play the Sunday Morning Pop playlist on Apple Music! I think some fun music just helps to get you pumped for the day! I like to plan my day the night before, but then go over the things I need to do that day in the morning! It helps keep me focused on what I need to accomplish and helps to frame a productive day. 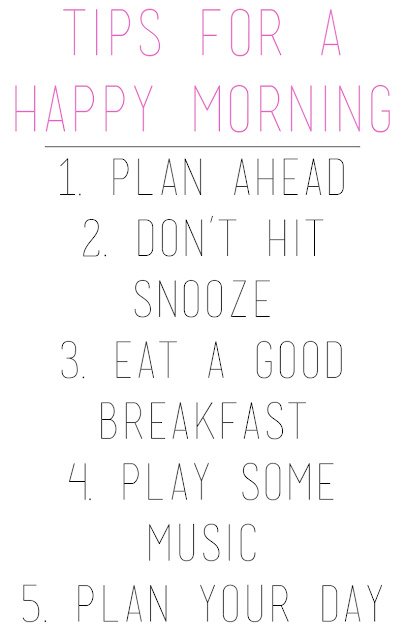 Let me know what your tips are for having a happy morning. 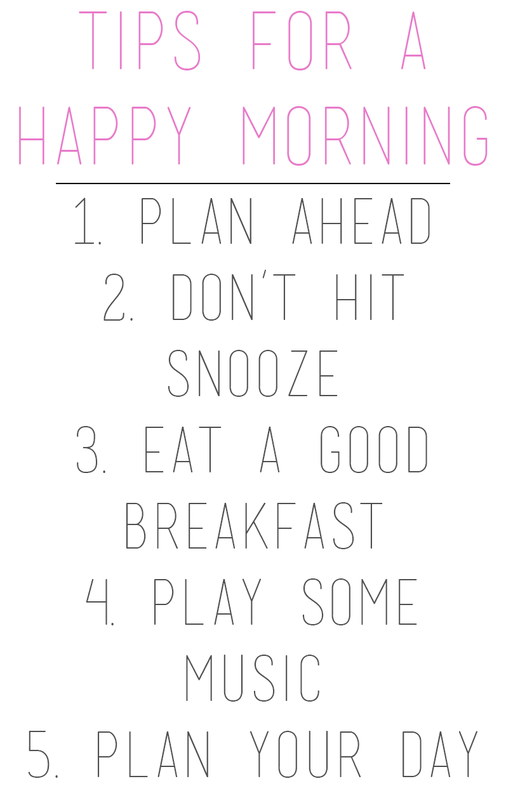 I think a really great morning can make your day so much more productive and happy! Ugh, I needed these tips! I have the worst attitude every morning because I have to get up at 6. I always turn on my music because it gets me awake and I love listening to my favorite song! I feel you girl! So glad this post was helpful!